Why use one processor when two will do? This week, Bloomberg reported that Apple has developed an ARM-based chip that it will integrate into future Macs to handle some of the low-power responsibilities, thus taking pressure off the main, more power-hungry Intel processor. Here’s the thing: This multipronged approach is nothing new to Apple. And while I do believe that Apple is investigating building computers based solely on the same type of ARM architecture it uses in its iOS devices, this latest report doesn’t necessarily draw a straight line to that future. After all, the Touch Bar and Touch ID sensor in the new MacBook Pro already rely on an ARM chipped dubbed the T1. Mainly, it’s another example of Apple mixing and matching technologies where appropriate so that it always has the best tool for the job. The putative purpose of this ARM chip, which Bloomberg reports is dubbed the T310, is to handle low-power activities, such as the Power Nap feature first introduced in Mountain Lion. Power Nap activates when your computer is put to sleep, allowing your Mac to continue carrying out certain tasks like fetching your mail, updating synced data like contacts and reminders, getting new pictures posted to Photo Stream, and keeping Find My Mac up to date. Basically, it ensures that when you wake up your Mac, it doesn’t have to spend several minutes updating everything before you can see the latest content. It also attempts to perform certain housekeeping features while the computer is otherwise idle. But even though Power Nap is intended to use the Mac’s processor in a low-power fashion, those Intel chips are still more power intensive than their ARM counterparts, which were designed for battery-sipping mobile usage. Hence the idea to add a second chip dedicated to handling this kind of activity, allowing the main processor to go to sleep. That potentially ratchets up the battery life that Apple is so very concerned with in its portable Mac line. Apple’s A10 Fusion chip has two higher-power cores and two efficiency cores, and powers the iPhone 7. If this approach sounds familiar, it should, because Apple’s used it multiple times before: most recently in the A10 Fusion processor used in the iPhone 7. That chip contains both two high-performance cores for tasks that require serious horsepower, as well as two high-efficiency cores that use less power. Similarly, the MacBook Pro line has long offered machines with both discrete and integrated graphics chips, switching between them as needed. This is right out of Apple’s playbook. Now we jump into the “wild speculation” part of proceedings. Apple is probably not ready to totally forego Intel chips in its Mac line, though it certainly has some things to gain by that move: an internal development schedule that’s not dependent on a partner company, better power efficiency, and a unified processor architecture with iOS, to name a few. However, ARM chips still aren’t ready to deliver kind of performance that Mac users are accustomed to. 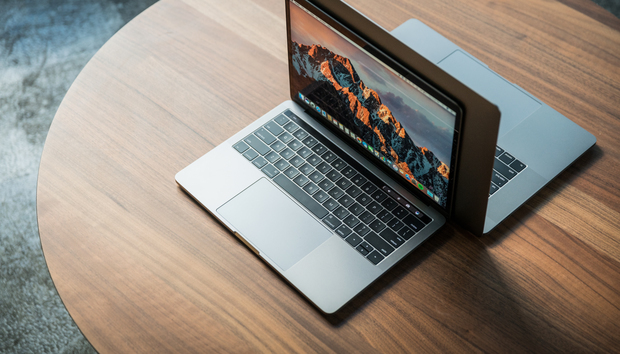 But by shipping Macs that include both Intel and ARM chips, Apple will have created hybrid Macs—or perhaps Fusion Macs would be a better name, following the pattern of the A10 Fusion processor and the Fusion drive. At the start, the capabilities of the ARM chips would likely be more limited, as described in the Bloomberg story, handling low-power tasks when the computer was asleep. But that doesn’t mean Apple couldn’t subsequently offload more tasks to the ARM chip as subsequent versions grow more powerful. Eventually, the ARM chip could be responsible for low-power tasks not only when the Mac is sleeping, but also when it’s active. In addition to Power Nap, Apple has a feature called App Nap that shifts an application into a low-power state when it meets a series of criteria, such as not being the foreground app, not updating content in a visible window, and so on. That reduces power consumption by limiting how often the app can get new data, read and write data to disk, and so on. If Apple wants to keep making its laptops thinner and thinner, it needs to find power efficiency everywhere it can. So rather than simply shifting them into a low-power mode on the primary processor, what if a Fusion Mac could shunt those napping applications onto the lower-power ARM chip? Not only would that help consume less energy, but because the ARM chips have lower power consumption overall, those apps may still be able to accomplish some tasks in the background. There are certainly challenges to overcome with such a Fusion Mac, but probably none that is insurmountable. Apple has undergone a couple processor transitions in the past, going from Motorola’s 68k architecture to the PowerPC in the mid–90s, then to Intel processors in the mid–2000s. In both cases, Apple tried to mitigate the impact on developers and end users by offering solutions like fat binaries that contained code to run on both platforms. In the past, porting many Mac apps to a new architecture has in many cases been as simple as checking a box while compiling. Switching between processor architectures on the fly certainly seems radical, but looking back at Apple’s history of hybrid technologies, it hardly seems unprecedented. While the company has long pushed towards the aspirational, it’s never been hesitant to find ways to bridge it with the practical. And if the world isn’t yet ready for an ARM-based Mac, a Fusion Mac might be a bridge to get to that future.